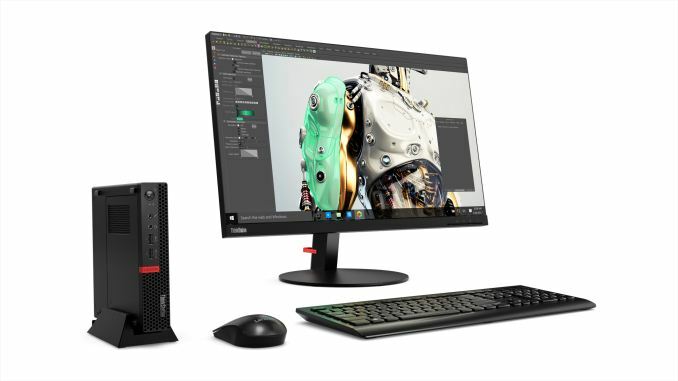 Lenovo has unveiled a new ThinkStation model, the P320 Tiny, based on a Kaby Lake / Q270 platform with NVIDIA's Quadro P600 GPU. The unique aspect is the dimensions - At 1.4" x 7.1" x 7.2" (1L in volume), it is one of the smallest systems we have see that includes a discrete GPU. In order to achieve this compact size, the 135W power adapter is external to the system. The P320 Tiny supports Kaby Lake CPUs with TDP of up to 35W (such as the Intel Core i7-7700T). NVIDIA's Quadro P600 is a GP107-based GPU with a 40W TDP. The system comes with two DDR4 SODIMM slots and two M.2 NVMe SSD slots. There is a rich variety of I/O ports - audio jacks in the front, a total of six USB 3.0 ports spread across the front and the rear, a RJ-45 GbE port, and six display outputs (4x mini-DP + 2x DP). Thanks to the Quadro GPU, the P320 Tiny is able to come with ISV certifications for various applications such as AutoCAD etc. The board used in the system seems to be a custom one - it is larger than a mini-STX board, but, smaller than an ITX one. It is perfect for space-constrained setups, and comes with extensibility options such as add-ons for extra USB ports and a COM port, or, for an optical drive, as shown in the gallery below. 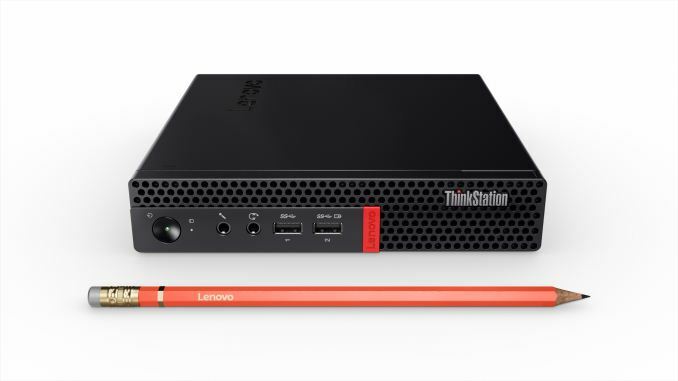 As for operating systems, the new Lenovo ThinkStation P320 Tiny workstation supports both Windows and Linux. The P320 Tiny starts at $899 and is available now.